Nora Ephron, writer, producer and director of such well-known romantic comedies such as When Harry Met Sally, Sleepless in Seattle and You’ve Got Mail, died Tuesday night from acute myeloid leukemia. Ephron, who was a three-time Oscar nominee, was a prominent figure in the movie industry and was often thought to be synonymous with the romantic comedy genre. Many of her movies revolved around modern women looking for old-fashioned charm. 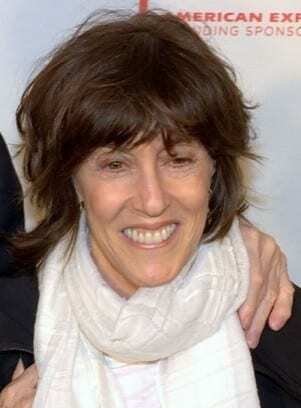 Nora Ephron movies were largely profitable and left audiences with memorable scenes that defined the cinema industry. Nora Ephron’s films also gave rising stars credibility that skyrocketed them to successful careers. When Harry Met Sally helped make Billy Crystal and Meg Ryan into A-listers, while Sleepless in Seattle helped Tom Hanks’ career. Nora Ephron was not exclusively a writer for films; she also wrote a novel in 1986, Heartburns, which ultimately turned into a movie. The plot of the novel and movie focused around her famously rocky marriage to Washington Post reporter Carl Bernstein. The two divorced in 1980. Her presence touched many, causing prominent figures to speak on her passing. Nora Ephron also wrote stage plays and essays, including Love, Loss and What I Wore and I Feel Bad About My Neck: And Other Thoughts on Being a Woman. Ephron also regularly blogged for The Huffington Post.